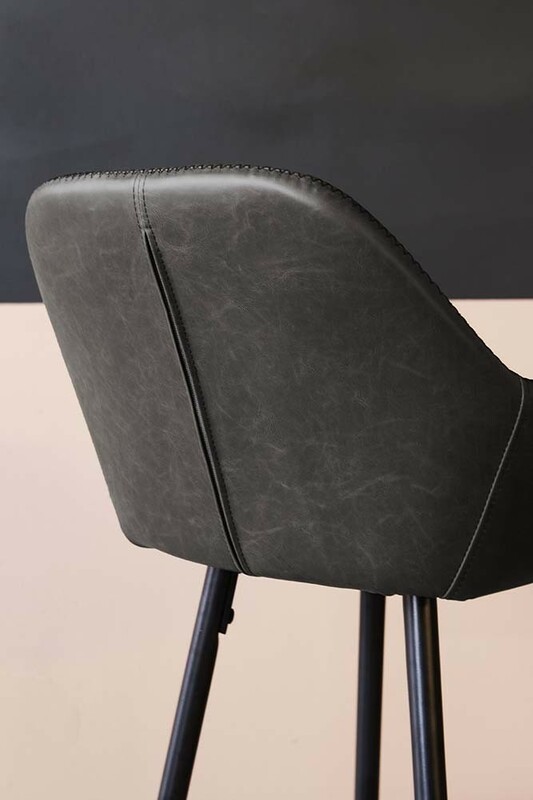 Inspired by traditional dining chairs, the Faux Leather Grey Bar Chair with a raised back and chair arms is a high-quality furniture piece that will suit a variety of decor styles. 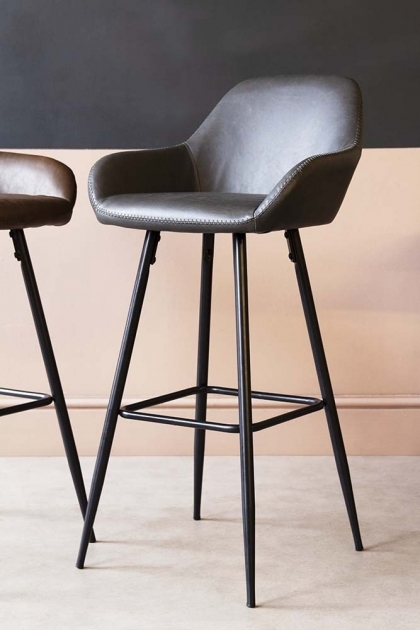 A versatile breakfast bar chair the Bar Chair features stylish black metal legs, zig-zag stitching and is upholstered in charcoal grey fake leather that is ideal for those who prefer not to use animal products in their homes. Over the years, we evolve and refine our interior style to suit our changing style. So in a time when recycling and re-using our pieces has never been more important it helps to choose furniture and seating for your home that will suit just about any home decor style. Hoping to solve this problem, co-founders Jane Rockett and Lucy St George have sourced a collection of imitation leather bar chairs and dining chairs that will withstand the test of time. 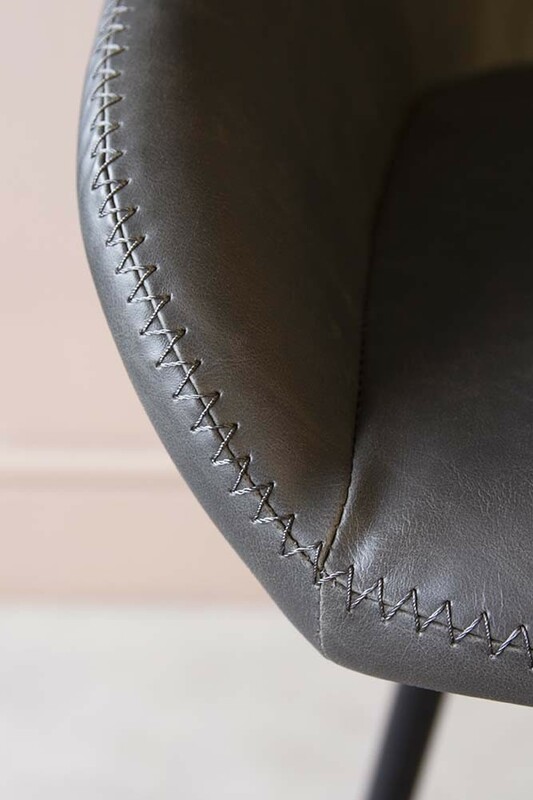 Chosen for its timeless quality and versatile nature, the realistic leather chair alternative is delightfully comfortable to sit on! Ideal for those who are looking for comfortable seating for their kitchen island or home bar. 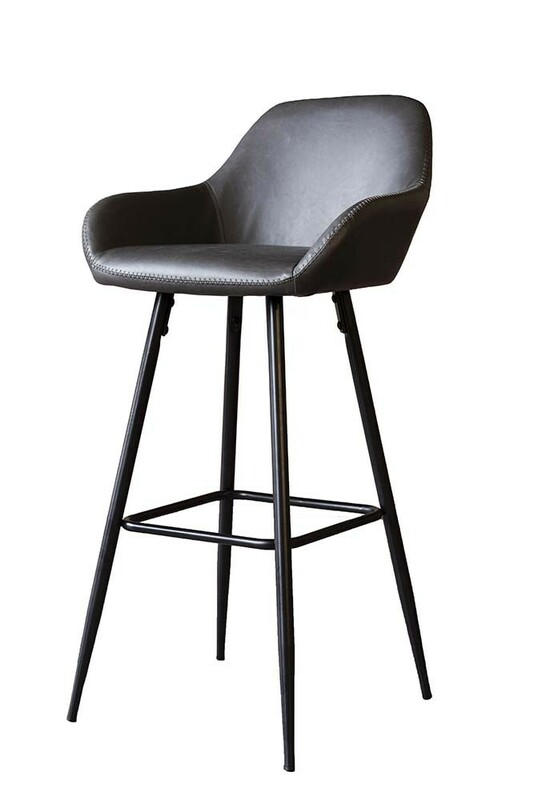 A wonderfully unique Bar Chair for sale the Faux Leather Bar Chair also comes in Brown Faux Leather and in a range of dining table chair choices. Material: Vintage PU fabric, black painted steel frame.